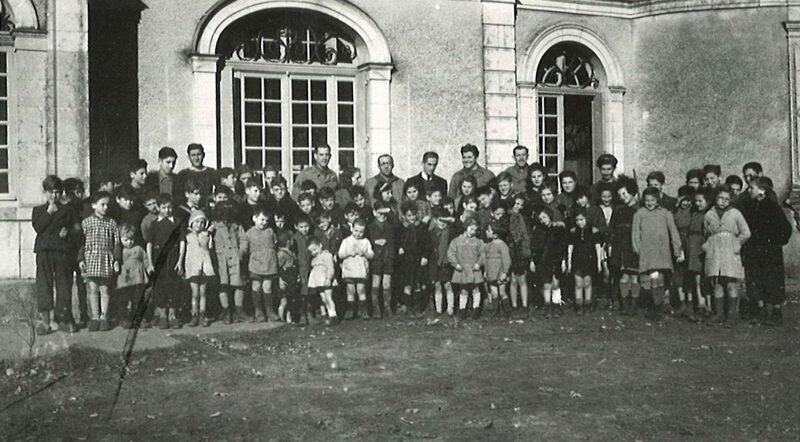 Children and staff at the Chateau de Mehoncourt near Le Mans (detail). 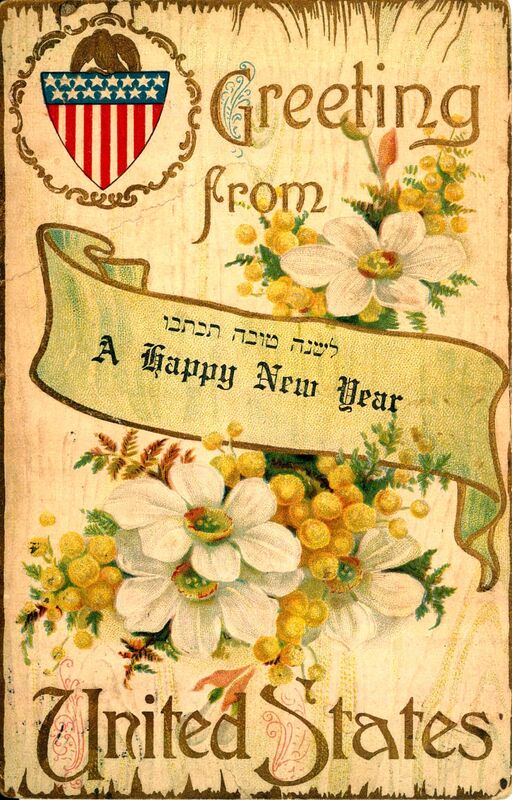 As we approach the Jewish holidays of Rosh Hashanah and Yom Kippur, I was reminded of a variety of early twentieth-century Rosh Hashanah postcards that I had seen in the collections of the American Jewish Historical Society–New England Archives. 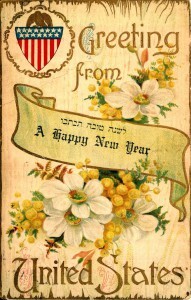 I remembered how detailed, ornate, and beautiful many of them were, works of art really, so I thought it would be fun to share some of them with all of you as the holiday approaches.